Todays Freshcut Monday at Lost Forty Brewing is a special one. For the first time, the brewery is letting the public taste the individual barrel-aged beers that are blended to make its signature Nighty Night barrel-aged imperial stout. It’s called Darkness Deconstruced. Guests ordering the flight experience will get a pour of the base Forest King Imperial Stout as well as a pour each of the bourbon, rye and red wine barrel-aged versions. Lost Forty wants you to taste each on its own, as well as try your hand at blending them to make your own version of Nighty Night. Plus, if you just like any of the barrels on their own, you can order up a full pour of your favorite version. Supplies are very limited, so be sure to get there as close to the 4 p.m. start time as you can. And this coming weekend, Lost Forty is doing a special Easter brunch starting at 10 a.m. and lasting all day. Dishes include pulled pork biscuits, skillet enchiladas and blueberry pancakes. Rebel Kettle Brewing Company is bring a lot of flavor this week with the debut of The Breakfast Club. This is a 10 percent ABV imperial smoked porter aged in bourbon and maple syrup barrels for six months. The brew team then added dark roast coffee to complete what its calling a “barrel-aged maple bacon imperial coffee porter.” There’s no bacon in the beer; the smoky flavor of the porter is what brings everyone’s favorite breakfast meat to the palate. This boomer goes on tap for Rebel Kettle’s 4:30 Thursday event. By the way, Rebel Kettle is also planning a Easter brunch, featuring the popular crab cake benedict as well as croque madams and breakfast corn dogs. Reservations for brunch are highly recommended. Stone’s Throw and Buffalo Brewing Company are teaming up for their annual 4/20 release. High PA is a session IPA at just 4.2 percent ABV. There are some “dank hops” to be found, but with the low ABV Stone’s Throw says this one is the perfect “cotton-mouth quencher.” It goes on tap for Stone’s Throw’s #NewBrewFriday release at 4 p.m. And Buffalo Brewing has one of its own coming out this week as well. It’s called Shelter Me Ale, and it’s a fundraiser brew for the Paws and Whiskers Society of Faulkner County, which works to support animal shelter and rehoming efforts. One dollar from each Shelter Me sold goes to the cause. Shelter Me goes on tap starting Friday at The Water Buffalo. Speaking of collaborations, Flyway Brewing will be tapping its kegs of Mighty Wing that it partnered with Stone’s Throw to create. Stone’s Throw put theirs on last week. Keep an eye on Flyway’s Facebook page to find out just when this fruit-blend ale goes on. 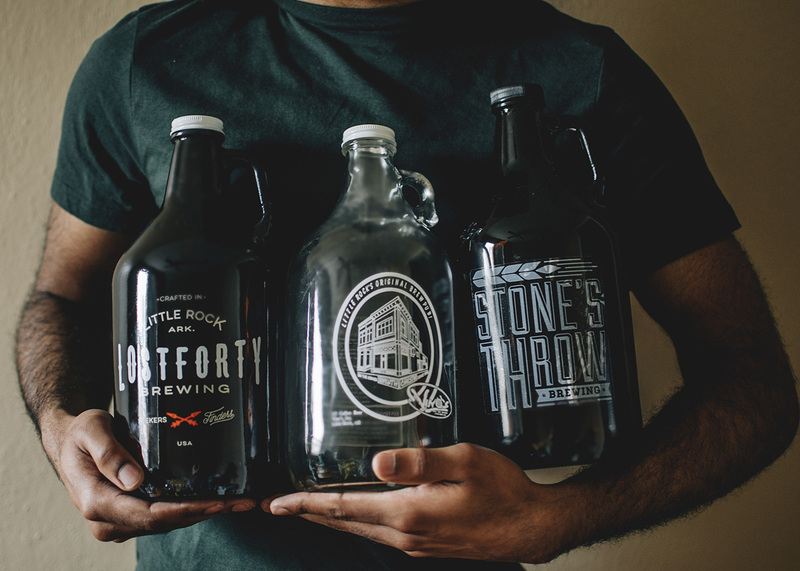 And one of Arkansas’ smallest breweries is turning a year old. Slate Rock Brewing in Amity will celebrate its first birthday with a party Saturday from 11 a.m. until 10 p.m. Slate Rock will have its original four brews on tap plus four more special releases (as well as their ridiculously good root beer). There will also be burger and brat specials, live music, and a “special surprise” that Slate Rock has teased to be announced this week. If you haven’t yet made the journey to Slate Rock, this is the perfect reason to change that. Shawn and Orianne Burgess are great hosts, and it’s a joy to see good beer doing so well in such a small Arkansas town.